IT’S midday and a storm warning has been issued by the Met Office. 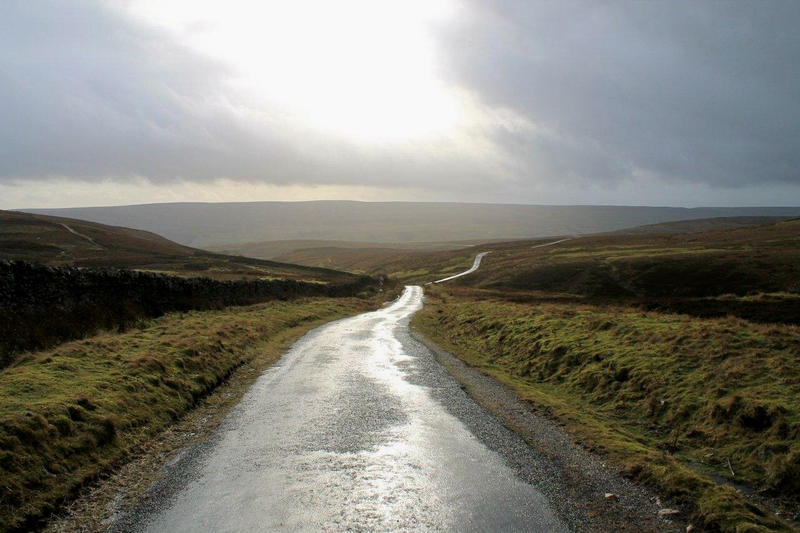 I’ve just set off across the northern spur of Reeth High Moor and can expect gale-force winds and up to 40mm of rain. The valley fields are already flooded, the rivers swollen. High-sided vehicles have been banned from certain roads and bridges. So it’s a normal January day and I’m hungry for adventure . . . Speaking of hunger – I’ve been thinking about it a great deal lately. Not just your normal type of hunger, where people queue at the local Osborne-era food bank for a tin of peas and a Pot Noodle, but the other varieties as well – lust, avarice, that sort of stuff. 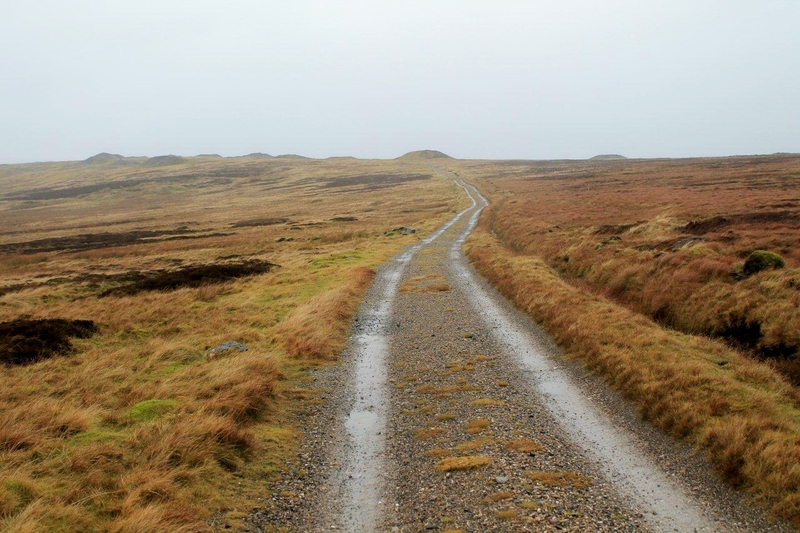 It’s strange where your mind wanders when you’re plodding up a moorland track with rain pelting against the back of your hood in the wilds above Akengarthdale. I read a book once called Hunger, by 19th Century Norwegian author Knut Hamsun. It was about a down-at-heel writer who, desperate to get his work published in the Oslo newspapers, almost starved to death through lack of income. Apparently it was autobiographical. A bloke can learn a lot from literature like that. Then there’s Monaghan poet Patrick Kavanagh’s The Great Hunger. I used to live two doors down from a retired teacher who got sozzled on sherry every night and could speak fluent Russian. Her passion was poetry. I’d heard Van Morrison singing Patrick Kavanagh’s poem Raglan Road, so I asked if she had any books of Kavanagh’s poetry. We spent a pleasant couple of hours reading The Great Hunger and drinking sherry. It’s not about the Irish famine, she said. It’s about lust and unrequited love. Christ. I missed that. Don’t pour me another one. It’s 1pm and the wind’s getting up. Another wave of rain rolls towards me from Swaledale and wipes out the scenery. I’ve left the car at the Water Splash, the picturesque ford that Christopher Timothy drives his old car through in every episode of All Creatures Great and Small. I don’t know why I mentioned that because I couldn’t stand the programme. Far too bright and jolly for my liking. I’m heading for the Hungry Hushes. See, there’s a theme developing here. I’ve mentioned hushes before. 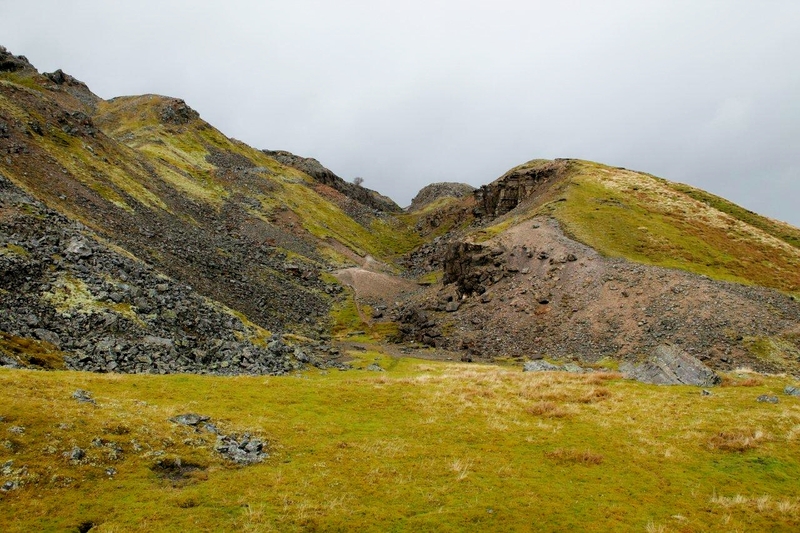 They are the deep and ugly remnants of 19th Century lead mining, where a very destructive method of hydraulic extraction was used. 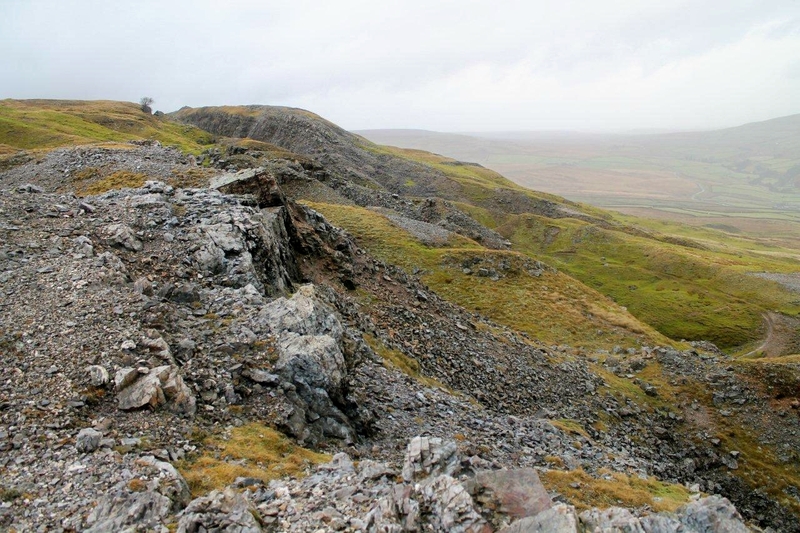 Basically, the mining companies built reservoirs near the tops of the hills and discharged huge volumes of water along the course of the mineral veins, swilling away vegetation, peat, boulder clay and fractured rock to get at galena – the ore of lead. 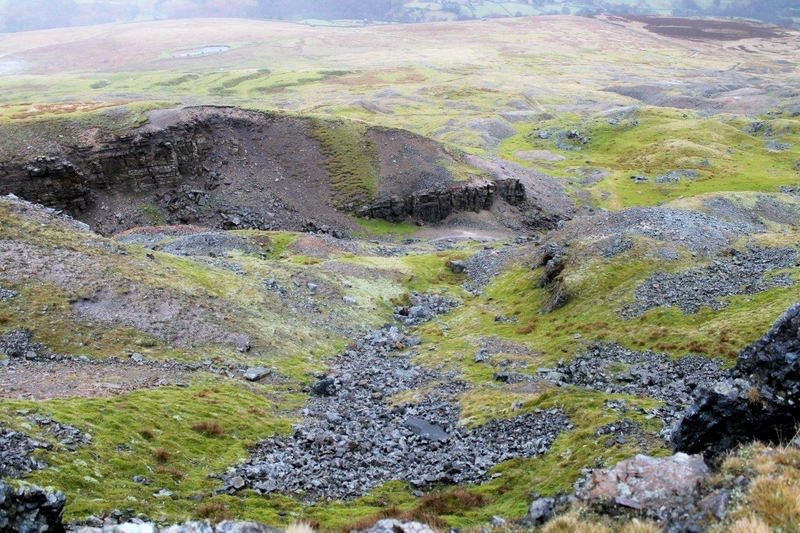 The uncovered veins were then hacked and dug by miners while the reservoirs filled up again. 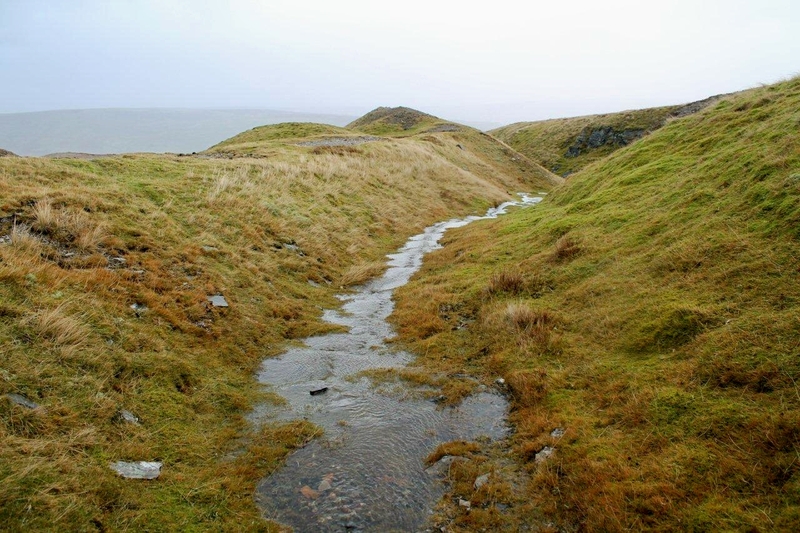 Then more water was released, more of England’s uplands were washed away, and a few rich people got richer while lots of poor people toiled in all sorts of weather and survived on poverty wages. If you detect an air of cynicism in this post it’s because I’m exploiting a rich vein of the stuff. Before I set out I watched George Osborne deliver a speech on the economy. He said that in order to maintain the financial recovery and cut the deficit, the unemployed and the homeless and the disabled people on benefits will have to surrender a bit more of their money to fund tax cuts for the rather-comfortably-orf-thank-you-very-much. I was waiting for someone in the audience of blue-collar workers (do we still use that expression?) to shout: “What effing planet are you on, you slack-gobbed effing Tory toff?” But nobody did. They even clapped when he finished. So I’m thinking it must be me who’s on the other planet. Let me tell about the Hungry Hushes, because I’ve not visited them before so this is an adventure for me – made even more adventurous by the scything wind and rain. 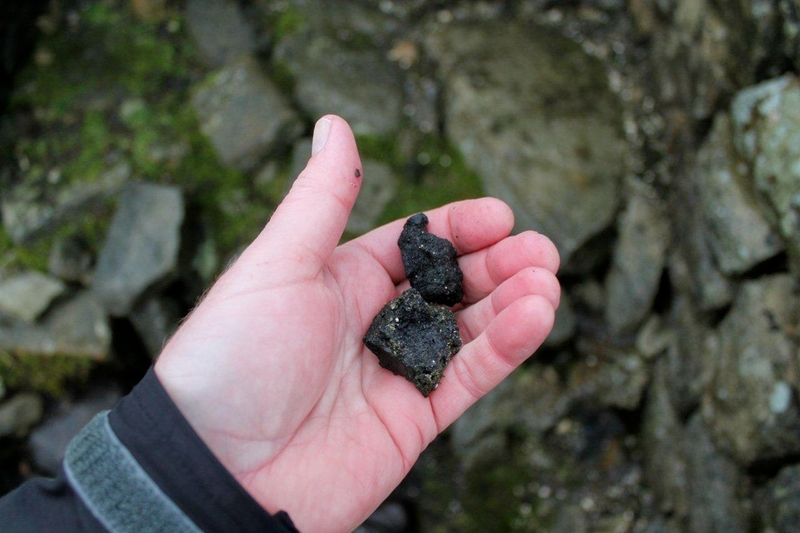 Local tradition maintains that the mining company couldn’t find the course of the vein. 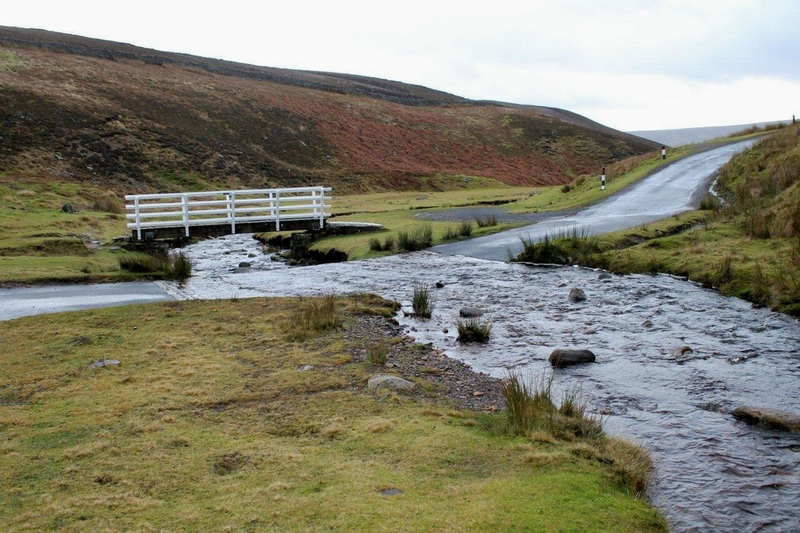 So when the first hush had carved out its destructive path, the water was diverted and a second discharge hurtled down a different course, washing all before it – turf, heather, sub-soil, alluvial deposits, boulders, sheep, grouse and beaters – to the valley below. When the second hush failed, the water was diverted again. And so on. What remains today is a disfigured landscape known as the Hungry Hushes. Hunger works on several levels here. The hushes were barren, their destructive forces never sated; barren ground thrusts miners deeper into poverty; poor returns on capital investment means the shareholders lose and some are driven towards tragic circumstances. Fortunately, because it’s very cold and raining hard today, there’s little lust and unrequited love. And certainly no sherry. At this point I was going to launch into a frenzied attack on fracking being the modern equivalent of hushing, but I can’t be arsed. I’m too busy wringing out my gloves and wondering why waterproofs work splendidly for the first few dousings then break down completely when you’re just getting used to them and think you’ve made a wise investment. 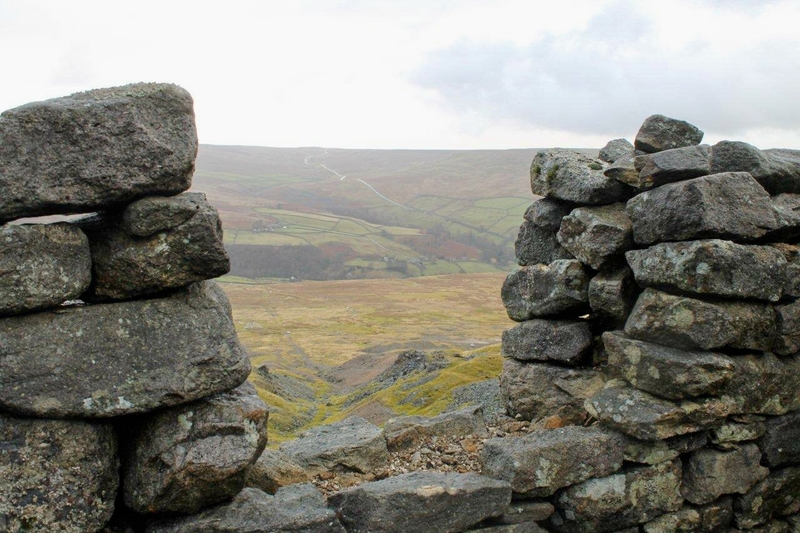 So having clambered down through the Hungry Hushes, I ascend once more to the crown of the moor through the spectacular ravine of the Stodart Hush (pictures above) – which unlike its neighbours must have been quite productive because it has a name and is deep and impressive. On the top of the moor the rain is hammering down as hard as ever. The Met Office was right again. The next storm has arrived. The wind is so ferocious that when taking pictures I am forced to go down on my knees to keep the camera steady. It’s bloody cold and wet and windy. But men worked up here in this. That puts things into perspective. 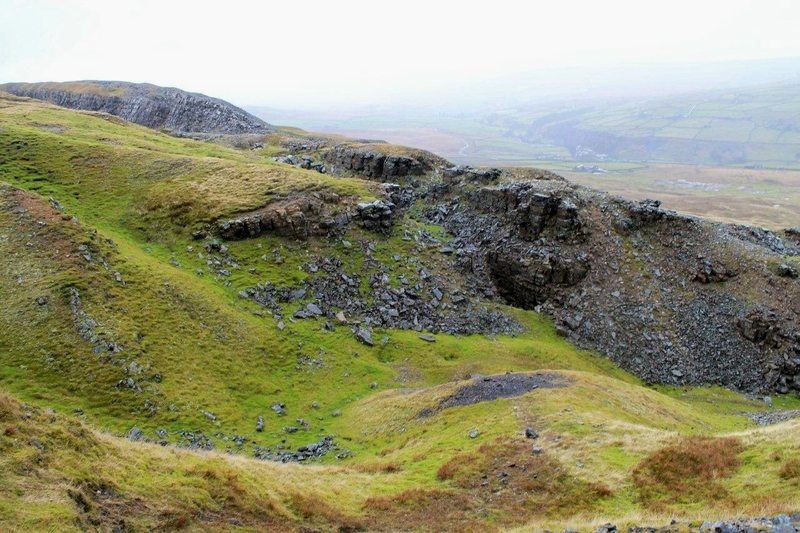 So that’s the Hungry Hushes, a few desolate, mostly forgotten and now quite natural-looking grooves in the fellside above Arkengarthdale. I’ve enjoyed my walk today, in a sort of gloomy and slightly pessimistic way. I’ll blame George Osborne for that. But he’d probably blame the last Labour government, so why bother? Right, that’s me done. Time I was back on my planet. 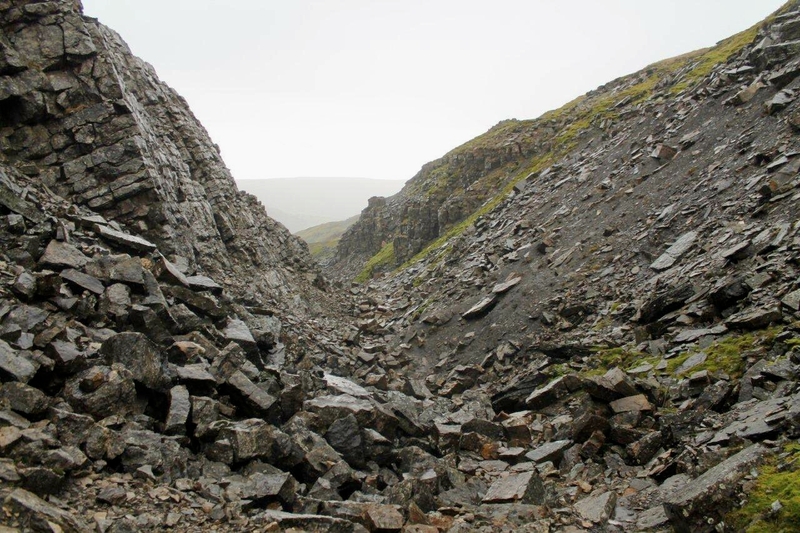 This entry was posted in Archaeology, Climbing, Environment, Geology, Hiking, History, horse gins, Industrial archaeology, Knut Hamsun, Life, Mountains, Patrick Kavanagh, Politics, Quarrying, Ranting, Ruins, Unemployment, Walking, Writing and tagged Mining History, outdoors, Pennines, WPLongform. Bookmark the permalink. I thoroughly enjoyed reading that Alen and the last sequence of images made me smile. It’s a while since I set foot up there, but my eyes are always drawn to the area each time I drop down from the Stang. I think to visit them on a wet and gloomy day is definitely the way to appreciate a little of the hardships the people up here experienced – it must have been a horrendous way to put food on the table. As for being on another planet regarding Osborne I am pleased you said that because I thought there was only me on it. If my TV had a rant meter it would have been on max yesterday and would have blown completely when I heard that Fergus Wilson a bloke who owns nearly 1,000 properties is kicking out 200 families who rely on benefits. I hope the latter is media exaggeration, but the way things are going I doubt it. On another note, have you been up to the big hush in Teesdale on the side of Hardberry Hill? You probably have, but if not it is definitely worth a look. Hi David. I drove back over the Stang yesterday and it was as wild as hell up there. But it’s quicker than the main road to Richmond because there are three sets of temporary traffic lights on the Reeth road and it took me ages to drive up. I’m glad there are other people on this planet. I too had quite a loud rant at Fergus Wilson, to the point I was told to shut up by a higher authority. I think the words “fat” and “b*****d” came into it somewhere. Hardbery Hill. Yes, it was about the first walk I ever did over here after me moved from Cumbria in the 1990s. I’ve been meaning to go back to that corner for some time because I didn’t have a camera with me and I can’t remember much about it at all. I’ll wait for some better weather though. On the subject of hunger,my grandmother was at school with Patrick McGill author of Children of the Dead End amongst others..If you haven`t read it then you should ! All about itinerant navvies wandering around the country looking for work.Even when they were working they were hungry. Probably best not to mention this to Gideon in case he gets any ideas . 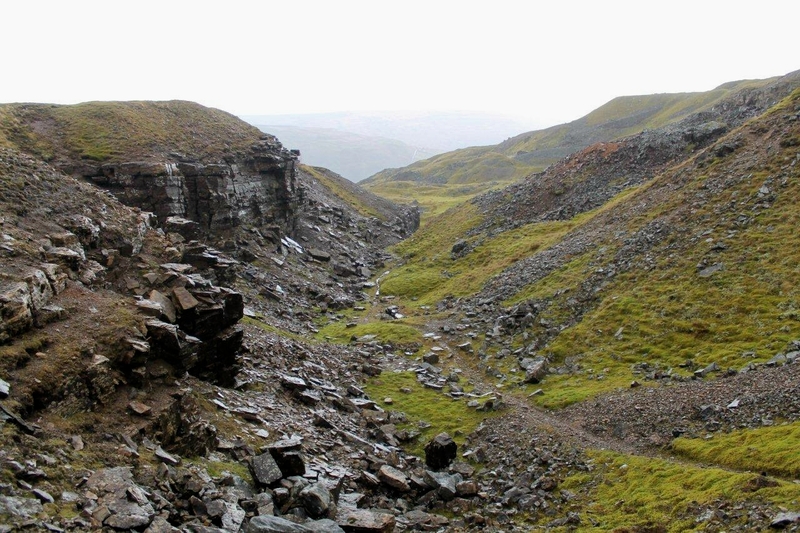 There is something appealing about these old mine scarred lonely landscapes but I`m not sure I`d like to walk there every week. Ha ha. Gideon. Blimey. I didn’t know that. But I did know he is aristocracy. Isn’t his father a viscount or something? I shall have top look it up. I hadn’t heard of Patrick McGill, Alex. I shall look onto that because that is the type of book I really enjoy. 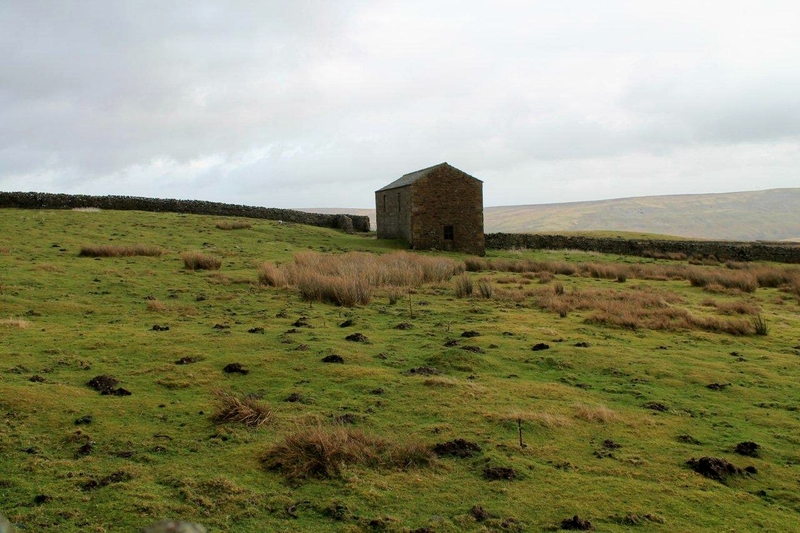 And as for the Tan Hill – I was within walking distance of the pub but a drop of alcohol didn’t pass my lips. Honest. I did think of calling in the CB Inn, which is down in the valley, on the way home, but I was so cold and wet that I just kept driving. Moleskin Joe was the other one I have here.They were republished a while back so are affordable now.Children of the Dead End is on Ebay right now for £3 inc postage 🙂 Much preferred it to the Ragged Trousered Philanthropists. Can you tell me or email me how to get the pics to open up large size Alen ? I`ve tried umpteen times with no success.Maybe I should change the template. Another entertaining blog post. Looking at these scarred and haggered landscapes prompted me to think that they may have had a lasting purpose if you consider all those old episodes of Doctor Who and Blakes Seven, the action taking place on planets that looked just like the ravaged uplands of Yorkshire and the chalk mines of wherever those old chalk mines were. And most people love a bit of history, which probably explains why the Tories are so intent on taking us all back to the early 1800s. But let’s not get sidetracked. Having seen your photos I want one of those collapsing stools. They look like great fun. Never trust a collapsible stool. My wife bought me that at a rummage sale about ten years ago. It’s worse when you’re camping and it topples over while you’re eating a plate of curry or something. Never a dull moment. Those landscapes are stuffed full of interesting objects as well. Peter Capaldi should get himself up there. Beats south Wales every time. 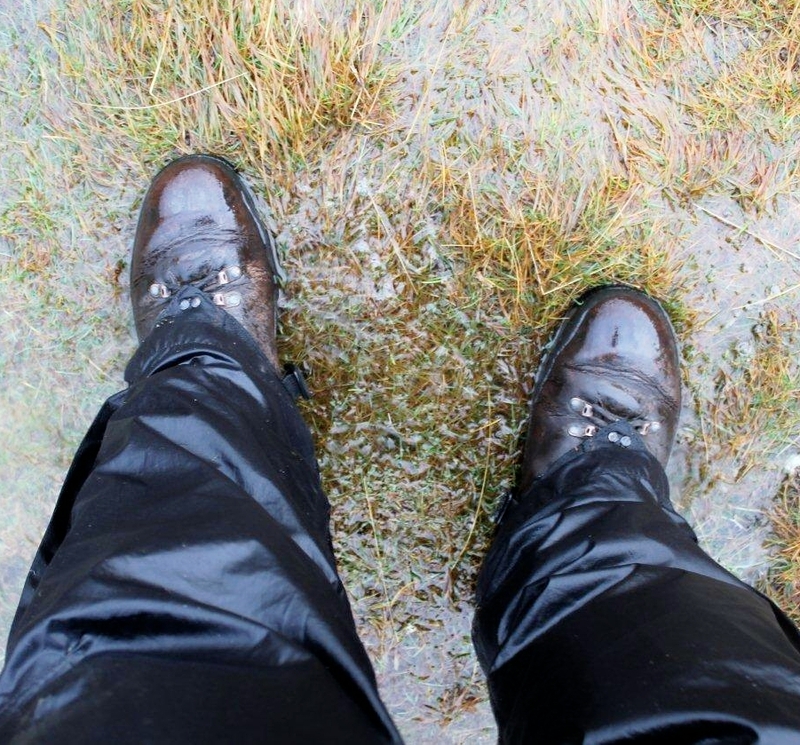 On waterproofs – my theory is that the misnamed DWR is the only waterproof bit. Once that’s gone, after first contact with a rucksack, the nylon will soak up sweat and rain and only let a little of it go. Some rejuvenation of the TWR is possible but likely to be even more temporary than the original TWR. Best thing is to keep waterproofs clean with Tech Wash. It restores waterproofs a bit and smells better than BO. I wash running and cycling gear frequently, on the advice of Dr JPRW, to stop jock itch, and waterproofs, despite not contacting the groin, are another sweaty piece of sports gear so need washing often. Thanks for that advice, John. I find the technical side of outdoor gear a mystery so always appreciate being pointed in the right direction. As it happens, the chap who sold me the jacket (it’s an Event) in Wildtrak, in Newcastle, told me it would benefit from being washed frequently. I shall stick it in the tub. It is an impressive landscape, even in the storm and 40 mm of rain, Alen. 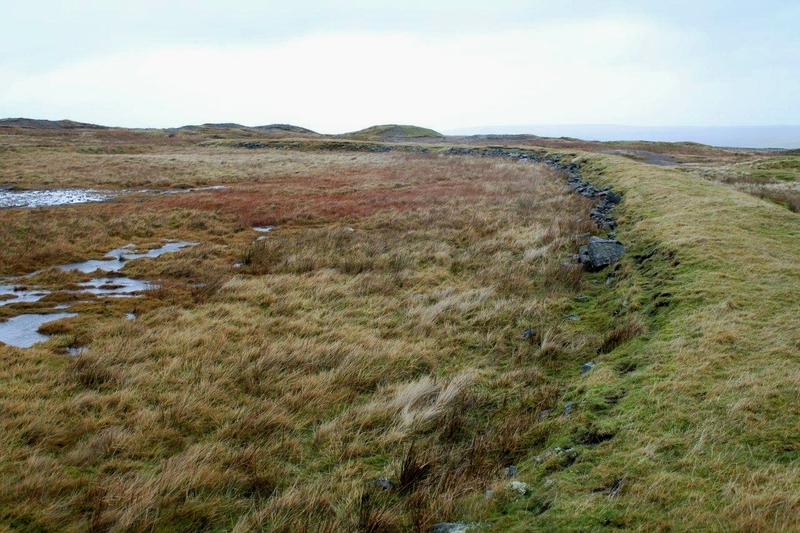 Here are traces of Viking settlements, as I read the descriptions of Arkengarthdale? Investment of rain gear is like winning the lottery. It’s like taking a train to Madrid from Copenhagen. A place on the line is a paper basket. You don’t know where. At an arbitrary point on the line you propels a crumpled sheet of paper out the window. 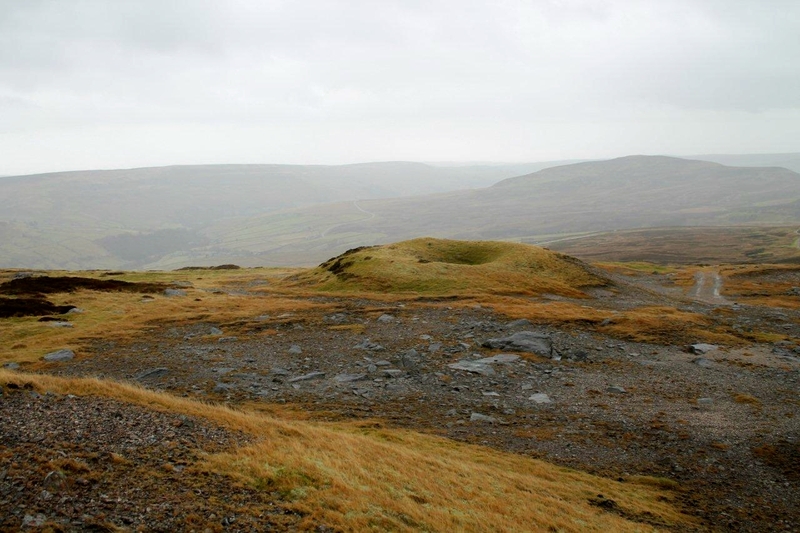 Hanna, there are probably Vikings still living in the more remote corners of Arkengarthdale. Things haven’t changed much up there for centuries. I always carry a couple of bright new £1 coins with me in case I have to pay Danegeld to get out again. I love your Madrid to Copehagen comparison with buying waterproofs. You’re probably very near the mark there. I’ve never had a jacket that has repelled water for longer than a year or so. I’d like to say that the image of George Osborne weeping at Margaret Thatcher’s funeral has melted my heart,. But curiously it hasn’t. You knew it wouldn’t anyway. 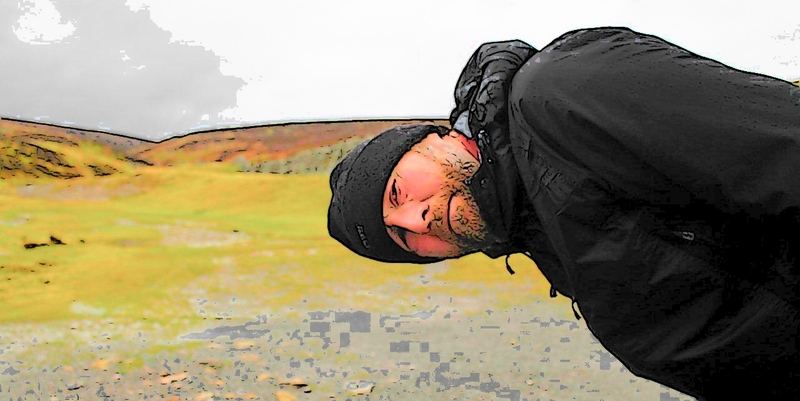 You’ve given me an idea for a walk Hanna – an adventure through northern England’s Viking past. I shall put my thinking hat on – the tin one with the horns. Richard’s the same with waterproofs – I don’t generally get very wet until the seams come untaped though. I’m thinking it’s more to do with condensation? Are you a hot walker (oo-err missus! 😉 )? I am quite a hot walker but tend to walk around in a state of undress to keep cool and not bother about getting wet unless I’m somewhere serious where I can’t afford to (remote Munros spring to mind). So I never suffer from condensation as I simply refuse to exert myself wearing waterproofs. Richard does sweat a lot when he walks and wears a lot of clothes so I think that’s what his problem with his waterproofs is. I could be completely wrong of course. The only comment I have on your ‘political’ part of your post is that I think the lower end of us workers are the genuine poor and are usually much less well off than the unemployed and others on benefits as we have to pay full whack for absolutely everything and they often don’t. There are obviously many benefits-cheats and also just as many people who are genuine but having benefits withdrawn. Rather than the fault of the government though, I blame the benefits cheats – they’re the ones causing the actual problem. if it wasn’t for them, benefits wouldn’t have been looked at in the first place I don’t think. 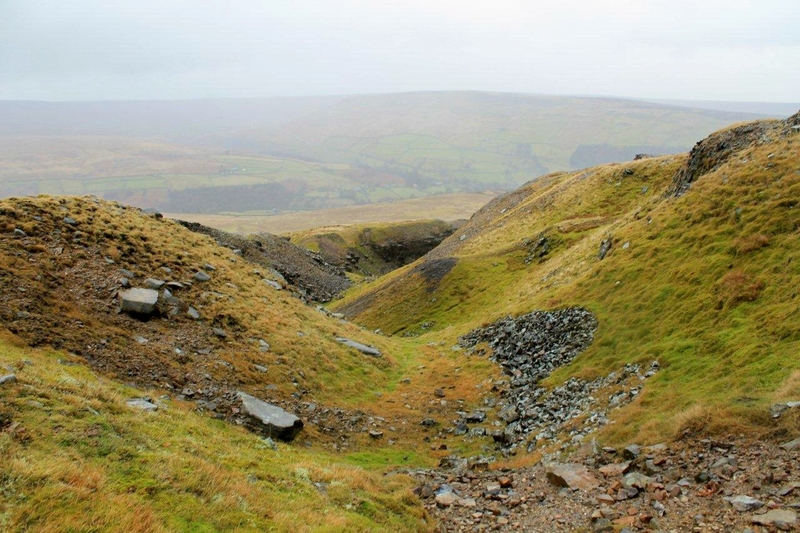 I love looking around old mining areas and am planning a visit with Richard to Swaledale sometime – hopefully soon – as we’ve never been there and that must be about the best area in the Dales for them? I’ve explored all our very local ones already. Carol, I’m not going to describe myself as a hot walker because there are people who read this blog who will ring me up and call me a silly pillock. I know what you mean about the problems with condensation, but yesterday’s walk wasn’t particularly energetic and my clothes were soaked through. The rain was hurtling in like machine-gun fire at one point, and the water-proofs just shrugged their shoulders and gave up. But I can’t afford any more for now, so I’ll have to live with them. I’ll be able to write about unemployment and benefits from a new perspective from March 14 when I’m handed my P45 and my work is transferred to an industrial estate on the edge of Newport. I’m sort of looking forward to that actually. 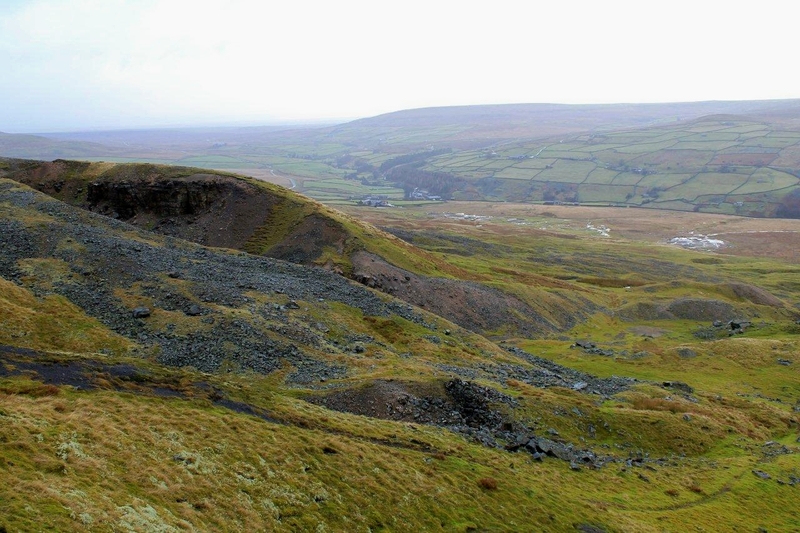 Swaledale is great for walking and the mining remains are superb. Get yourselves up Gunnerside Gill and have a mooch around there. And there’s a heritage railway that runs every day from Redmire down to Bedale, passing through Leyburn. Nice trip out. Great tea shops in Leyburn too, if you like that sort of thing. Yeah, I’m particularly wanting to see the Gunnerside area. We’re off towards Leyburn on Saturday for Richard’s now annual ‘birthday pub crawl’! You might not be out of work for long – I was made redundant and finished on the Friday and started somewhere else on the Monday. But it was a few years back and things have definitely got worse. It’s easier in IT as it all goes on your experience and, due to the firm I was made redundant from, I had bags of that! Wow you have really swallowed the constant anti working class propaganda in the right wing press. Lets blame immigrants, people on welfare, unmarried mothers etc. Just keep up the constant barrage (divide and rule) and eventually we will all hate every minority. According to the citizens advice bureau in 2012 there was £1.6 billion welfare fraud. Less than 1% of expenditure. Tax fraud was £14 billion in the same period. According to the Guardian the bank bail out cost at least £123 billion. Maybe torrie boys should be getting some of that money back. Or taxing people on high salaries more to pay for a fairer society. One which isn’t based on hate and greed and makes you proud to be British. Either way, I don’t own all the stuff they do – the huge widescreen HD tellies, the big cars etc. so it certainly looks like I’m either worse off – or perhaps just more intelligent with money! I’ve got to admire your determination to get up there in the teeth of that weather! Great pics, Alen, in spite of the rain. Really saturated colours (sorry, excuse the pun!) Those photos of the hushes and the dried-up reservoirs are very interesting – I had no idea there were still visible traces. PS That chair looks good for resting your camera on, but not much else! Hi Jo. I’d never been up there before so I was quite pleased to see all the industrial remains in what is otherwise quite a bleak landscape. Mind you, if it had been a better day then it would have been a much more pleasant experience. But you have those days when you’ve just got to get out of the house and get some exercise. I might start making wobbly chairs and selling them on Ebay. Learned something as always. I didn’t know about this hushing thing at all – my education must have been too southern. I know what you mean, Mrs P, they’ve spent most of their adult lives in it and relish every moment. I would have thought you were keeping your head in because of the weather as well. It’s been pretty rough down your way. I would imagine the beach has moved a bit nearer to your house these past few days. Yes, weather too. Which reminds me to check my camera for some photos I tried to take a few days back. All the best for 2014 and stay a happy blogger! Hi Dina. Thanks for that. I know north Norfolk well because my wife comes from Norwich and we spend a lot of time down there. Hi Delmar. Thanks for that. Austin Texas Is a place I’ve never visited. Actually, I’ve never been west of Ireland. The internet doesn’t half shrink the world. Almost caught up with you there! 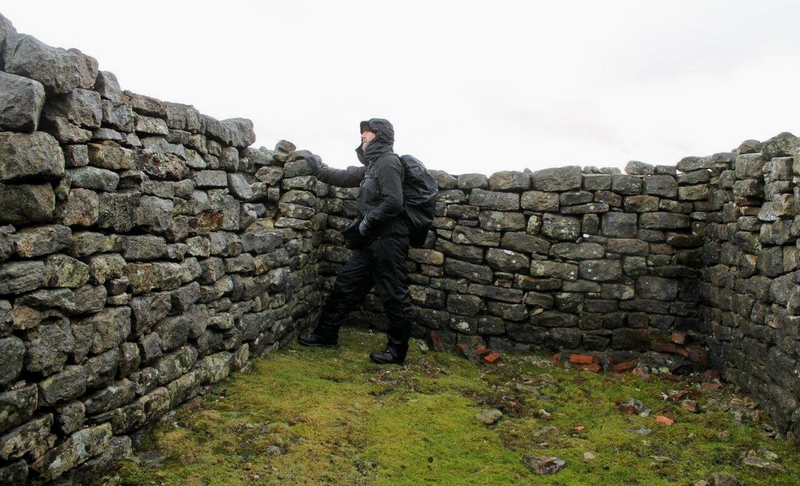 Do you move through the area like Alfred Wainwright,avoiding all human contact, or do you descend to civilisation (?) occasionally? Blimey O’Reilly. It’s Mr Wignall. A voice from the past after all these . . . er . . . months. I try to avoid all human contact unless there’s beer involved. And curry. Good to hear from you. So you’ve been over this way, have you?